I've been having so much fun reminiscing about Christmas entertainments that include the cast from The Dukes of Hazzard that I thought I'd share one more. In the 1988 episode "Our Very First Christmas Show" on Full House, actor Sorrell Booke (that's J.D. Boss Hogg to you and me) makes a guest appearance. Do you remember this second season episode? Joey has his Santa suit packed and Danny has a suitcase filled with gifts for the girls. The Tanner family is on their way to a family reunion to be celebrated at Christmas in Colorado. Young Stephanie is the only one who doesn't want to go--she's worried that Santa Claus won't be able to find her away from home, in Colorado. 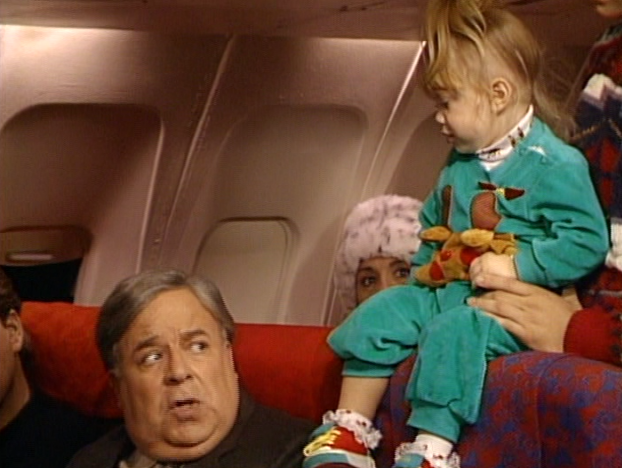 On the airplane, Michelle ends up snatching a toupée off a passenger's head! The family boards an airplane for their western destination. Much to their surprise, Rebecca Donaldson, Danny's co-host on his morning TV talk show, is also on-board. She's coincidentally taking the same flight to reach her connection to go home to Nebraska for Christmas. Jesse's parents are pressuring him to ask Becky out on a date. A severe snowstorm forces the plane to make an unscheduled landing and all the passengers are stuck spending Christmas Eve at the airport until flights resume in the morning. Stephanie is upset, fearing that Santa won’t be able to find her. Danny is frustrated because the airline has lost his baggage--which includes the girls' gifts. Jesse feels pressured by his parents to romance Becky--who has made it clear to him that she intends to stay friends (we'll see about that!) And, the other stranded passengers are also upset about spending their holiday away from loved ones. The mood in the terminal is quite low. 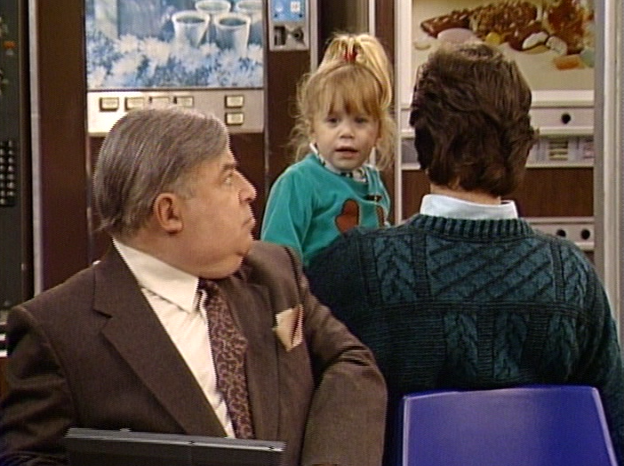 Lionel, the man with the bad toupée, is doing his best to avoid the Tanner family altogether. Joey attempts to lift Stephanie's spirit by donning his Santa suit--but she's wise to his ruse. Finally, Jesse inspires everyone to celebrate the spirit of the season despite their surroundings. Reminding everyone that Christmas is about family, love, and togetherness--Jesse points out that everyone has all they need right here in order to feel the holiday spirit. 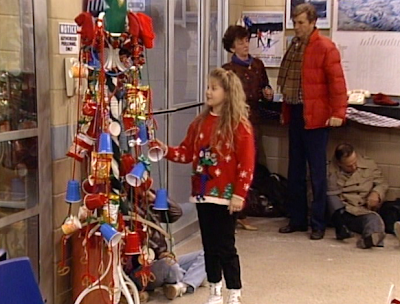 DJ admires the creativity that went into making a Christmas tree from a coat rack and ornaments from plastic cups and ribbon. Becky and Jesse discover a sprig of mistletoe--Have mercy! (Oh, you knew that comment was coming). Stephanie even gets a visit from Santa that restores her faith in the magic of Christmas. 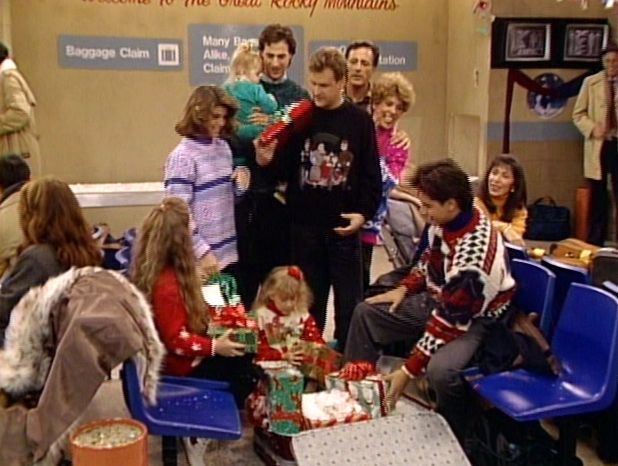 The Tanner family learns that they can have a merry Christmas any place as long as they are together. But one question remains: who was Lionel-- the stranger with the bad toupée? He may have dressed as Santa Claus and helped restore Stephanie's belief in the magic of the season--but he's disappeared from the snowed-in airport. Joey's Santa suit is still in its bag and Danny's luggage with the gifts has been found. Just who was that magic man? The Tanner family has a merry Christmas afterall. Remember this fun episode? Sure enough, that's actor Sorrell Booke playing Lionel. Here, he's able to get away from playing the Scrooge-like Boss Hogg for a little while. It's nice to see him play a pleasant role--even if it is just once. 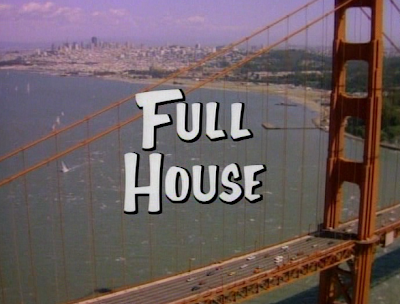 There are four other Christmas episodes and one New Year's episode on Full House--which one is your favorite? Can't believe I've never seen this episode! Thanks for sharing this. I found this page when I googled how to turn a coat rack into a Christmas tree! Awesome pictures - the actors are so youthful. I love the hairstyles and sweaters. 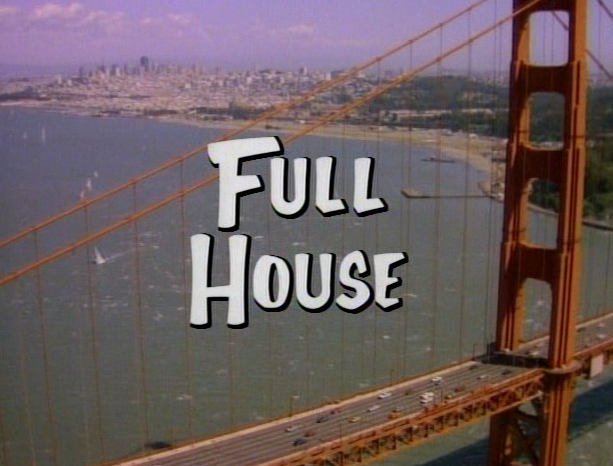 It reminds me of when I used to watch this show as a kid! A weird thought: Maybe Lionel was in a slump, bad day, bad toupee, bad flight. Perhaps he suffered a heart attack in the airport, passed away, and the spirit of Santa took over Lionel and made him Santa, like a reverse of `The Santa Clause'.